United recorded their seventh straight victory at Cappielow, but this was undoubtedly the tightest of that run with the home side fighting back well after generously helping us establish a two goal lead early in the match. 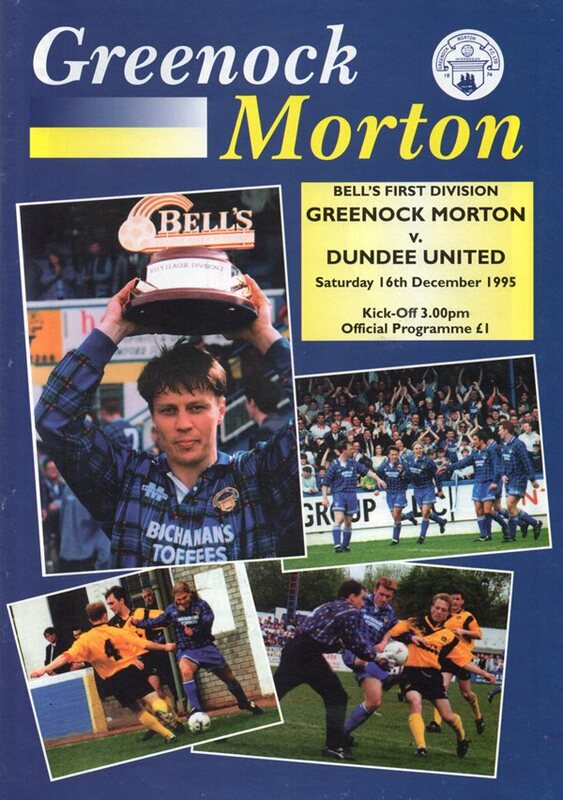 For this first visit to Cappielow since April 1988, Gary McSwegan for Owen Coyle was the only change in personnel. The match could have hardly got off to a more dramatic start with United scoring their quickest goal of the season. The stop-watch registered just 80 seconds when United went ahead. 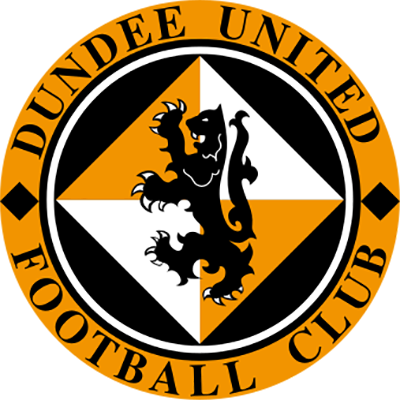 Gary McSwegan laid the ball off for Robbie Winters on the right and the winger charged up the right to deliver a cross which Johnstone miscued and Grant Johnson running in prodded goalwards, deceiving Wylie who allowed the ball to squirm over the line. Or that is the way it appeared from the Press Box. On seeing the goal on television, Mortn's Alan Mahood in fact got the touch, but Grant Johnson will no doubt be saying differently. Morton had a golden opportunity to equalise in the 10th minute, but Marko Rajamäki just failed to connect with a deep cross from Collins. The ponytailed Finn did make contact with a Mahood cross five minutes later, but given a free header he directed his effort wide of the target. 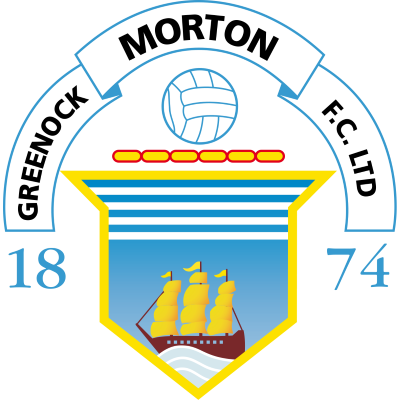 Two minutes later and Morton were made to pay for another defensive error when Maurice Malpas headed a clearance back towards the Morton goal and Gary McSwegan held off the challenge of Dougie Johnstone to drill the ball low past Wylie from 12 yards. Morton looking more comfortable going forward than when defending hit back and Ally Maxwell held a well struck low drive from Anderson. Laing blasted past when well positioned before the interval as Morton tried to get back into the match. David Hannah returned to first team action after the break in place of the injured Jamie McOuilken - his first appearance since the opening game of the season co-incidentally against Morton. Within two minutes of the resumption, Derek Wylie had to drop quickly on a Gary McSwegan shot after it emerged through a forest of legs. David Hannah had a scoring chance, but headed wide and Robbie Winters whose pace was a constant threat to the home defenders had several chances but couldn't hit the target until Wylie denied from a clever through ball from Gary McSwegan. Apart from Rajamäki rattling the base of the far post with almost an hour played, United were in control. But Morton battled away and only a spectacular save from Ally Maxwell kept out Mahood's looping header. However, 14 minutes from the end the Cappielow men grabbed a life-line when Derek Lilley headed in Rajamäki's cross from the left at the near post. Morton threw everybody into attack, but couldn't find a way through and United survived the last few minutes in relative comfort and might even have tied it all up when Robbie Winters went clear, but wasted his chance by shooting over. CLUB COMMENT - "Morton gave us a really hard match, but we can go and enjoy our Christmas now." - BILLY KIRKWOOD, MANAGER.